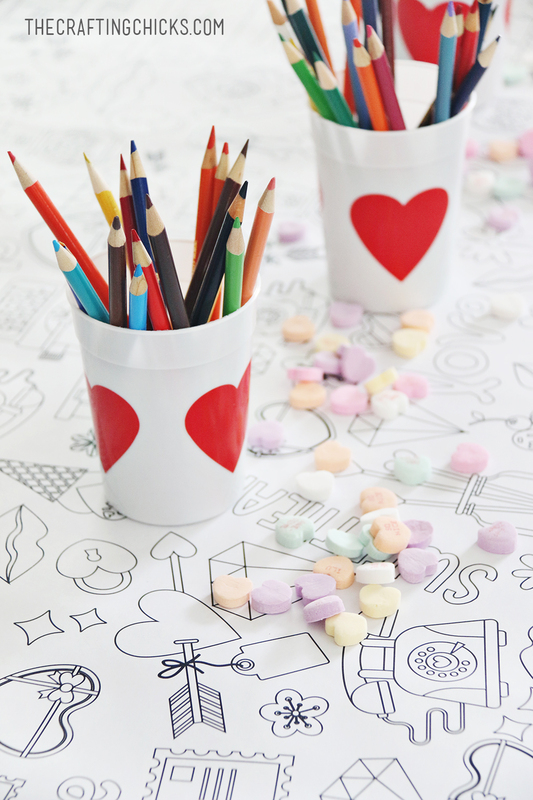 Take your Valentine Party to the next level with our adorable Valentine’s Day Coloring Tablecloth. Fun for kids and adults. We love celebrating Valentine’s Day here at The Crafting Chicks. From the yummy chocolates to the cards and parties, it’s such a fun day to spend with those you love and show everyone how much they mean to you. One of our favorite things we’ve done has been our adorable large format printing coloring tablecloths. We’ve done Thanksgiving, and Christmas, as well as some for any day of the week. 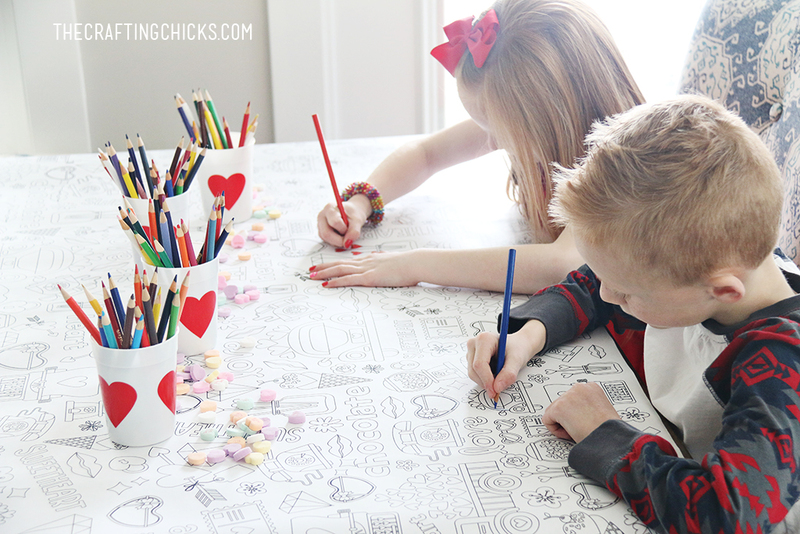 So of course we had to make a Valentine’s Day Coloring Tablecloth since it’s one of our favorite holidays! So pull out your crayons, colored, pencils, or markers and get ready to color. 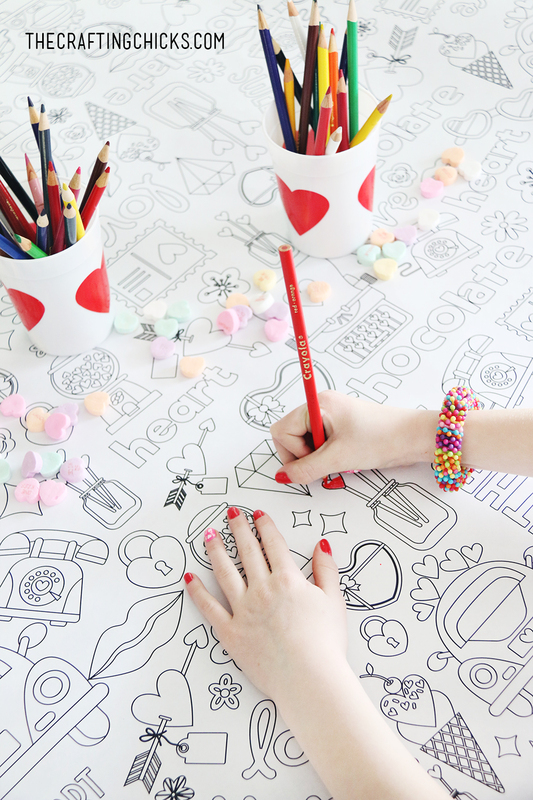 I love to have this on my table so my kids can stop and color whenever they want to. It keeps them from electronics and gives me an excuse to pull up a seat and color along side them. 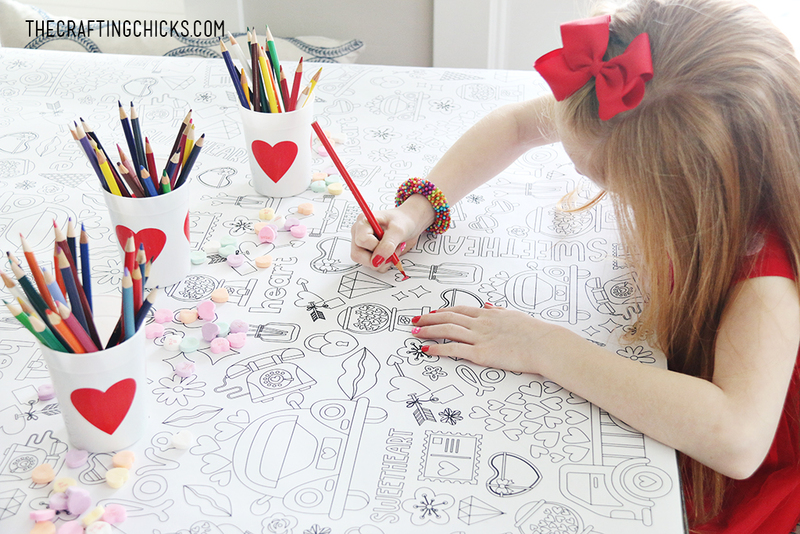 We have this Valentine’s Day Coloring Tablecloth available in our Crafting Chicks Shoppe. Head over there to purchase and download. From there all you need to do is send it to Staples or a copy store that does large format printing. It will cost about $7 for a print. 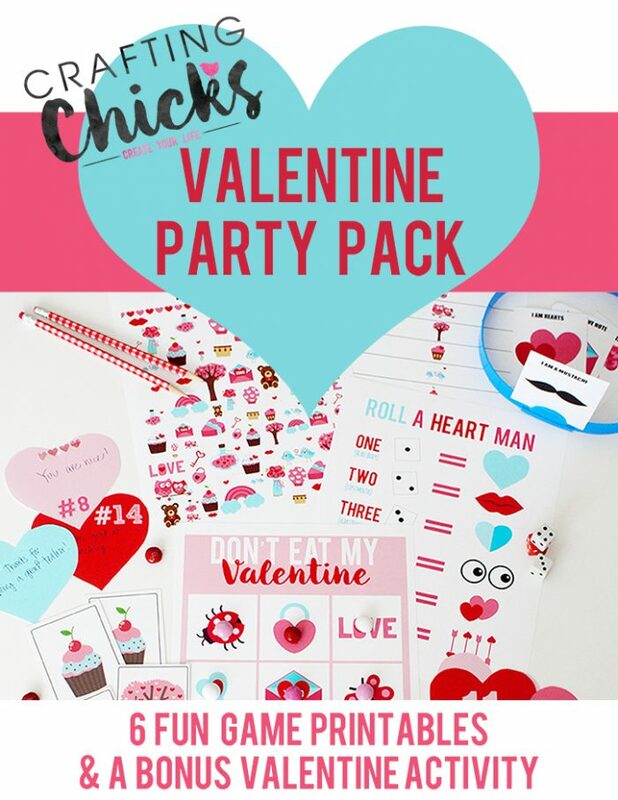 And when you’re in the shoppe make sure you check out our Valentine Party Pack. 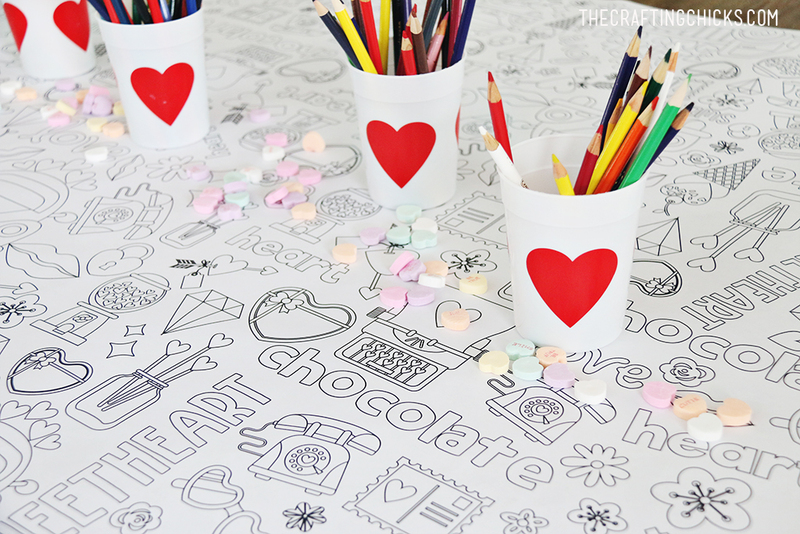 So many fun games for all your Valentine Class party needs. Where did you have this printed? I’m not finding that size as an option online at Office Depot or Staples? On Staples website you select Copy and Print you can choose the Engineering Prints option. From there select black and white and you see the 36″x48″ option. That size costs just a little over $7. I haven’t used Office Depot but they should have the same option. The trick is printing as an engineering print to get a large print at a low price. That tablecloth is so much fun!!! If this isn’t the cutest thing I have ever seen! Seriously! Love it! I want one for my table for everyday! 🙂 Love it! 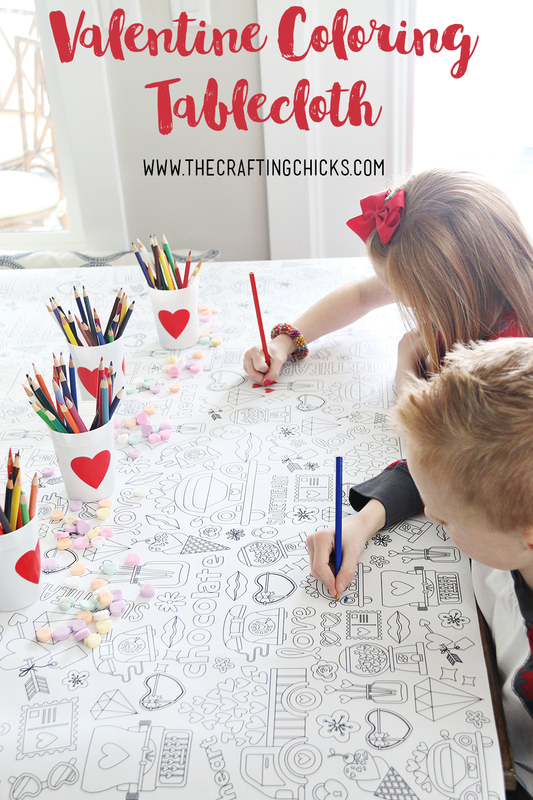 I love these coloring table cloths, it is such a great idea and would be super cute for classroom parties too! Nope, it is printed on paper. No. The tablecloth is a printable download. You will get the file and then send it to Staples or another print shop that prints large format prints. These cost anywhere from $2-$10.